Transportation from Jasper to Snake Indian, Meals, Accommodation and permits included. The Snake Indian Valley trip offers guests a rare experience in a breath-taking region of the Park that few locals and even fewer tourists have ventured. You’ll raft down a roaring, clear river, hike through pine forests, meadows and see wildlife such as BigHorn Sheep, Mountain Goats, Moose, Elk, and Bears of course. Horses transport all gear and baggage so you can travel lightly, knowing that at the end of the day a comfortable camp, great meal and maybe even a cold beer await you. Leave the guiding to us and we promise to make this trip of a lifetime. Trip includes hiking, rafting, and the option to access the river on horseback. 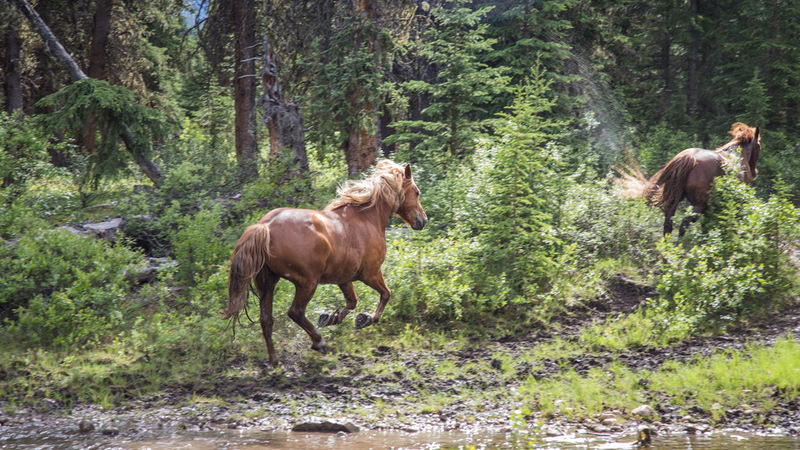 We use horses in order to access the most remote areas of the Park and to support our trips. 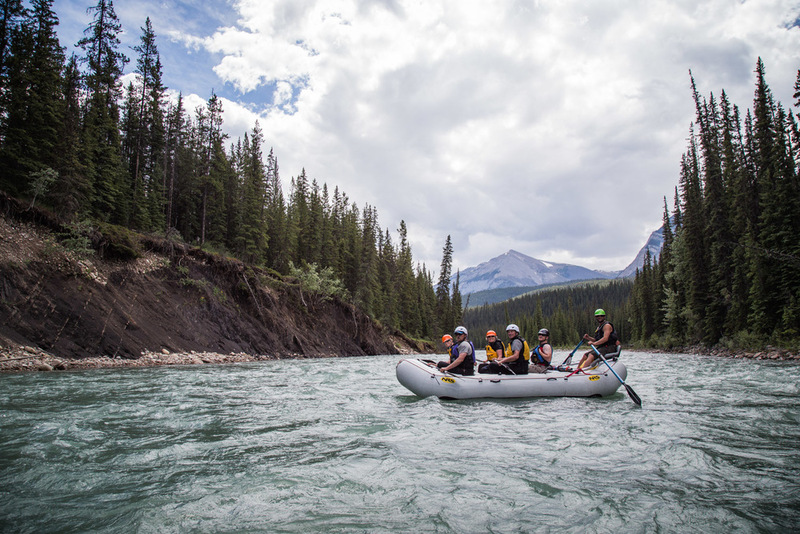 Our primary destination is The Snake Indian River located in the northern region of Jasper National Park. WCO holds the only commercial permit to travel the Snake Indian River. This area provides not only some of the most beautiful scenery in the Rockies, but the most remote and least traveled trails and waterways. Most trips are three to four days, but longer custom trips are available upon request. This custom trip is a once in a lifetime experience. We would love to chat with you about the options and how we can help you make it part of your Canadian Rockies adventure! Guests will need to arrive in Jasper the day before the trip begins. The day before departure guests meet their guides to finalize trip details and to be fitted for rafting and camping gear. Guides will collect all baggage and personal items to be packed on horses in preparation for departure the next morning. The adventure begins at 7:00 am! Guests are picked up from their accommodations in WildCurrent transportation. An important and delicious stop is made at a local Jasper bakery to pick up coffee, tea, snacks and lunches.The first leg of the trip is a two-hour drive to the trailhead at Rock Lake, where the true adventure will begin. At Rock Lake you will meet Wild Current’s horse wranglers - Yes, they are still called wranglers! - who will be hard at work saddling horses and packing all the gear. Once packed, it is time to hit the trail. Guests will carry only their own light daypacks with water, cameras, binoculars and the basics of what is personally needed for the day hike to Willow Creek. The hike typically takes between four and six hours traveling at an easy pace. There is much to see and enjoy along the way you will want your cameras handy. We will break for a healthy lunch at Rock Creek. This hiking corridor offers opportunities to see Moose and Elk. You will arrive at Willow Creek Camp in mid-afternoon. 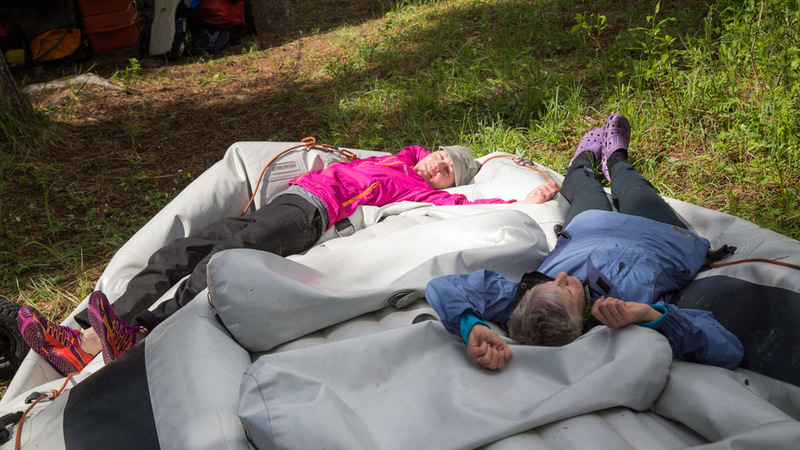 Guides will assemble camp while you relax and enjoy a cold drink before dinner. The day begins at 7:00 am with coffee/tea and a hearty hot breakfast. After a thorough safety briefing guests change into rafting gear and get ready to set off down the Snake Indian River. The River starts slowly from this point, but will build in intensity throughout the day. You will raft through some splashy Class 2 and Class 3 water, but much of the day on the river is Class 1 providing relaxing float sections which allow you to sit back and enjoy the scenic beauty. We have chosen a pretty shore on the river bank spot to stop for lunch. The day on the water ends when we reach Seldom Inn Camp. This beautiful campsite is situated just above Snake Indian Falls, one of the most stunning waterfalls in the Canadian Rockies. There will be plenty of time to explore the area around camp on foot, before sitting down to a backcountry gourmet dinner with amazing views of the Falls. You will now have started to notice that we love an early start to the day and that we like it begin with hot coffee and tea. Coffee will be ready at 7:00 am and a delicious hot breakfast will be served by 8:00 am. Guides will portage the rafts and gear around the Falls in preparation for an early start. Day Three is the most action packed day of the trip; within moments from pushing off shore the rapids welcome us and build throughout the rest of the trip. There will be breaks to catch your breath, have lunch and take some photos. 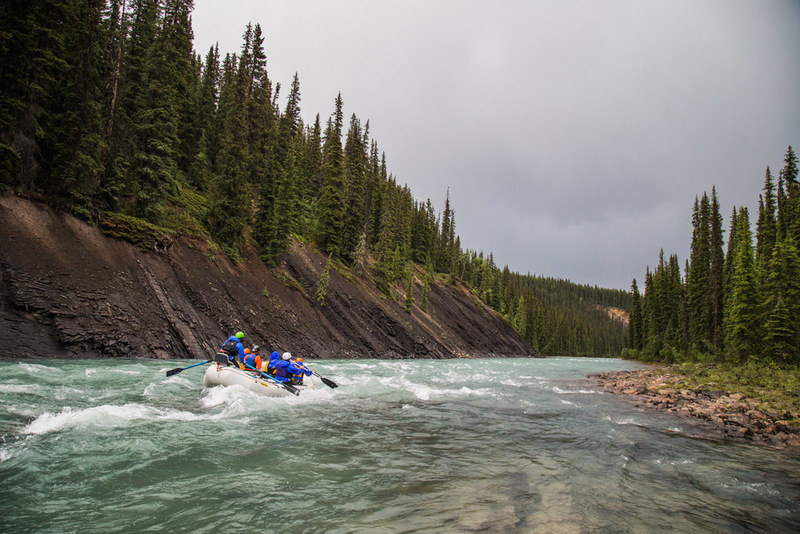 The rafting ends near the confluence with the Mighty Athabasca, which is close enough to the Jasper townsite that we promise to deliver you to your accomodations in time for a hot shower before dinner. Photo gallery of ONE OF OUR AWESOME TRIPS to the Snake Indian River. Enjoy!